One should never count out James Bond, as the new "Spectre" trailer proves. "They say you're finished," Eve Moneypenny (Naomie Harris) says. "What do you think?" 007 (Daniel Craig) asks. "I say you're just getting started," Moneypenny replies. Indeed he is. A cryptic message from the past sends Bond on a rogue mission to Mexico City and later Rome, where he meets Lucia Sciarra (Monica Bellucci), the widow of an infamous criminal. There, he infiltrates a secret meeting and uncovers the existence of the sinister organization known as SPECTRE. Meanwhile, back in London, the new head of the Centre for National Security–Max Denbigh (Andrew Scott)–questions Bond's recent actions and challenges the relevance of MI6, led by M (Ralph Fiennes). "You have no authority. None," he is told by M. "Mexico City. What were you doing there?" In his cheeky fashion, the agent says, "I was taking some overdue holiday." Bond secretly enlists Moneypenny and Q (Ben Whishaw) to help him locate Madeleine Swann (Léa Seydoux), the daughter of his old enemy, Mr. White (Jesper Christensen). He believes she may hold the clue to discovering SPECTRE's motives. The more he learns about SPECTRE, of course, the more dangerous his mission becomes. 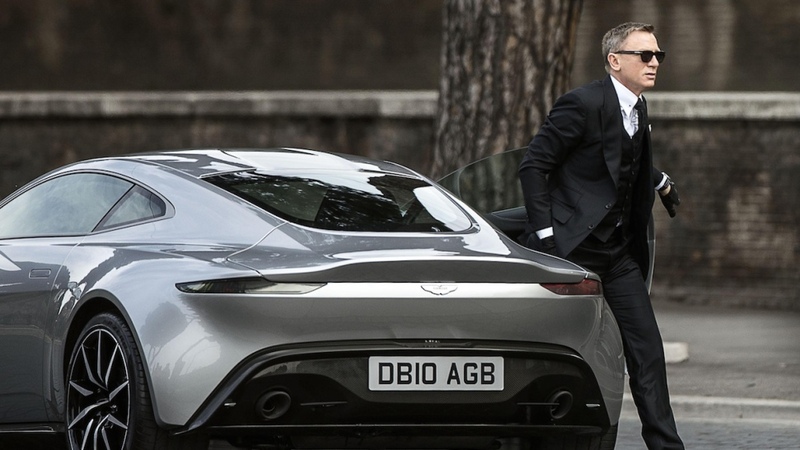 Bond also finds a connection between himself and an enemy played by Christoph Waltz. At one point, Waltz's character tells the secret agent, "You came across me so many times yet you never saw me. What took you so long?" In another moment, he reveals, "It was me James, the author of all your pain." Directed by Sam Mendes (who helmed the previous installment, 2012's "Skyfall"), the 24th James Bond film stars Dave Bautista as Mr. Hinx, Alessandro Cremona as Marco Sciarra, Rory Kinnear as Bill Tanner and Stephanie Sigman as Estrella. "Spectre" arrives in theaters Nov. 6. The new Bond girls recently described their characters to USA Today. "She comes from a man's world," Belluci said. "But when the attraction between them takes place and she realizes her feminine power on him, then she trusts him to save her." Sigman was unable to divulge details regarding her role, like Estrella's surname, but the newcomer did tells the newspaper that "there's a lot of Stephanie in her. She's a lot like me. We like to have fun and we're joyful people. I found her really easy to play and go with the flow and just be me."